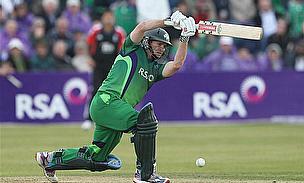 Ireland captain William Porterfield has sealed a switch from Gloucestershire to Warwickshire, where he has signed a three-year contract. Porterfield, 26, has played 44 One-Day Internationals and 17 Twenty20 Internationals and the move offers him the chance to play cricket in the top division of the County Championship. The signing of Porterfield to bolster the batting follows the news that former Pakistan captain Younus Khan will serve as their overseas player for the next two seasons. “This has been a good week for the Bears, having completed the signing of two very high class batsmen to our squad for next season," Director of Cricket Ashley Giles told the club's website (www.edgbaston.com).